1. 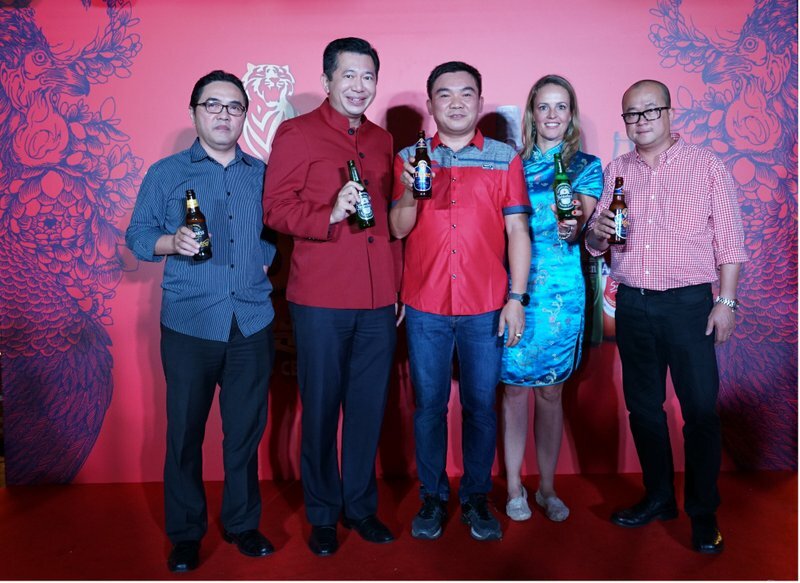 From left : Charles Chiou, Regional Sales Manager of HEINEKEN Malaysia, Andrew Woon, Sales Director of HEINEKEN Malaysia, James Yeo Tiong San, owner of Kepong Food Court, , Maud Meijboom van Wel, Marketing Director of HEINEKEN Malaysia and Tai See Wai, Head of Trade Marketing, HEINEKEN Malaysia. 6. 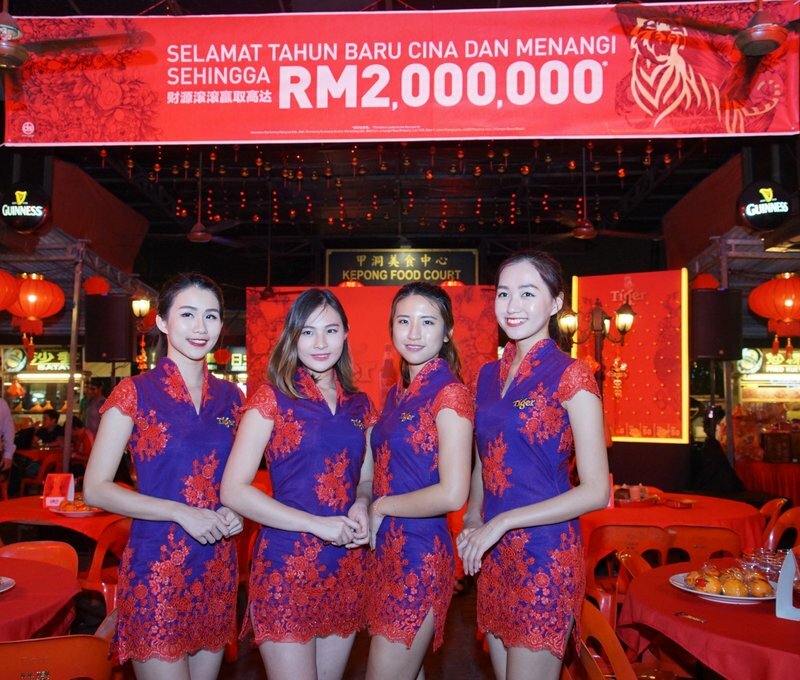 A lucky patron of Kepong Food Court trying out the Rolling Board of Prosperity. In addition, when purchasing two big bottles of Heineken® or Guinness Stout in participating outlets, consumers will be given a “Match & Win” scratch card for more chances to win big. 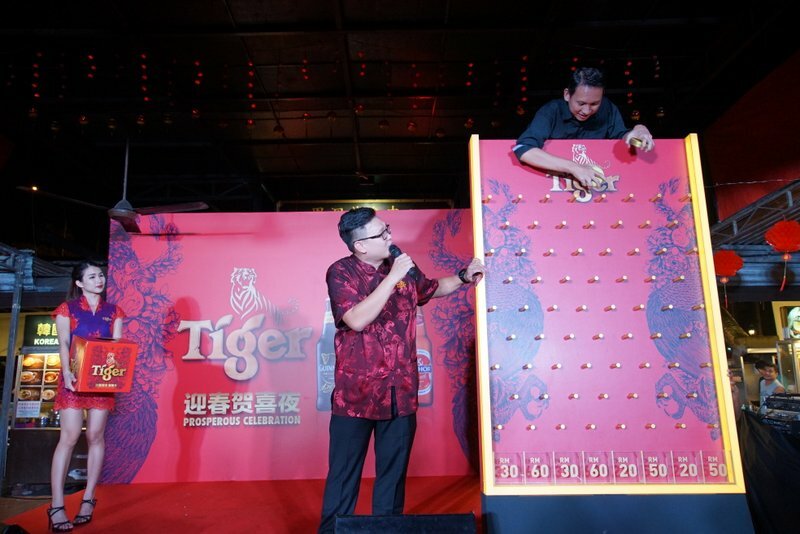 Winning scratch cards, along with the correct answers to simple questions will entitle the consumer to a RM2 rebate on their next purchase of a big bottle of Heineken® or Guinness Stout. 4. 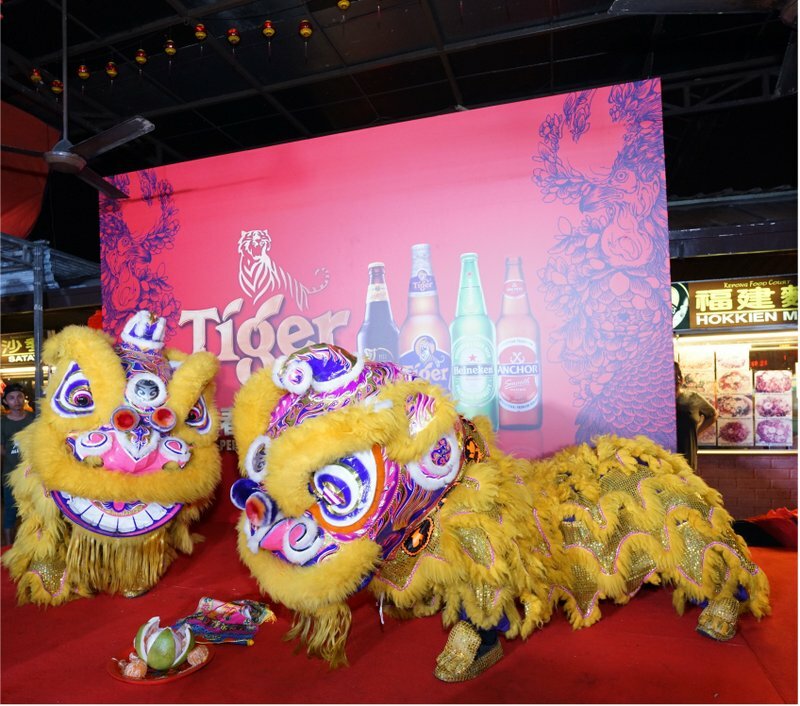 Lion dance performance to mark the commencement of Tiger Beer’s “Abundance of Prosperity” consumer event at Kepong Food Court. 5. 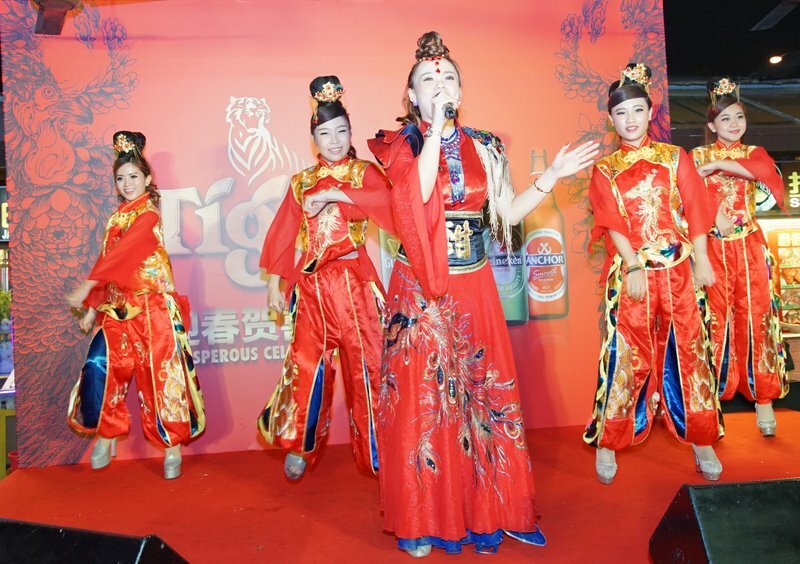 Performance by Xiao Tian Tian entertained patrons of Kepong Food Court during Tiger Beer’s “Abundance of Prosperity” consumer event. This entry was posted in News and tagged chinese new year, cny 2017, heneiken, huat ahh, tiger by TheGoodGoodGuy. Bookmark the permalink.